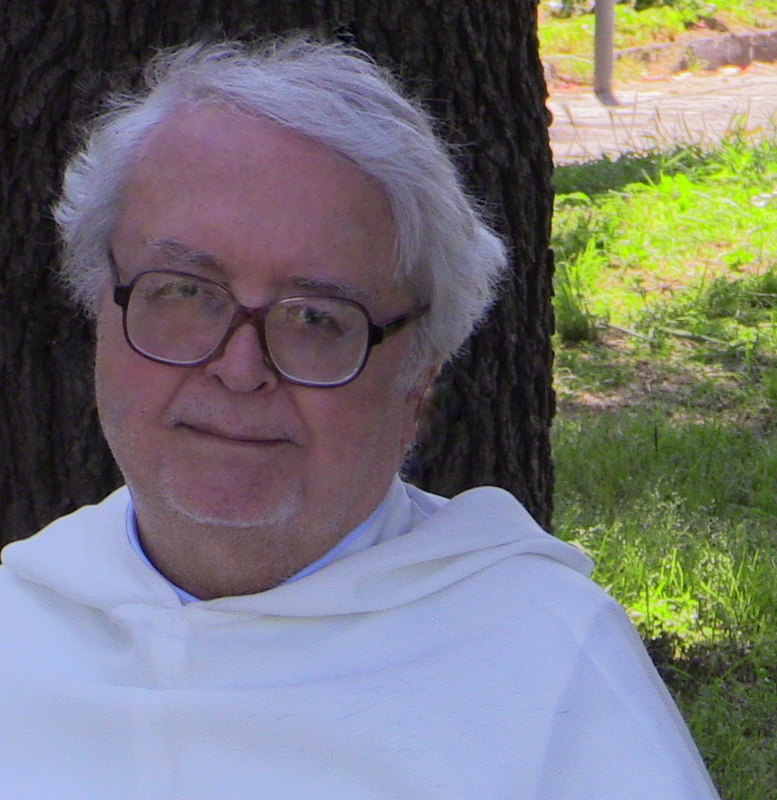 In this second Lectio John Cavalcoli o.p. 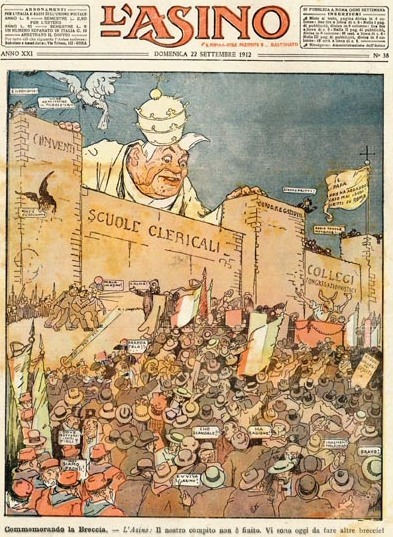 We guide us in theological and ecclesiological analysis on the figure of the Supreme Pontiff, Today exposed in a particular way to criticism, in itself and of itself legitimate, sometimes almost scrolls and even try by himself; but also exposed to criticism often it characterized by and hostilities, therefore as such not at all legitimate. Criticizing the Roman Pontiff can, It can sometimes be of help to his own high office, but first you need to know Peter and know first who is Peter. 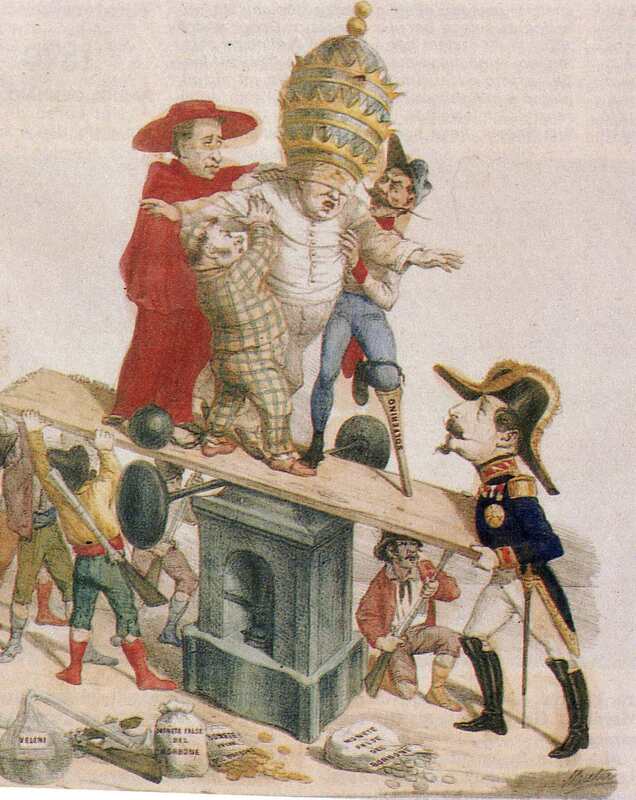 Without going back centuries, anyone can ascertain how sometimes even fierce, aggressive and insulting the Supreme Pontiffs have been criticized, especially where free criticism was actually a pretext to launch violent attacks on the papacy, species by the Masonry, that yesterday indicated the Blessed Pius IX as "scumbag" and the Pope Leo XIII as "rotten bone»; the same Masonry which today praising the Pope Francis I as a "great revolutionary Pope». 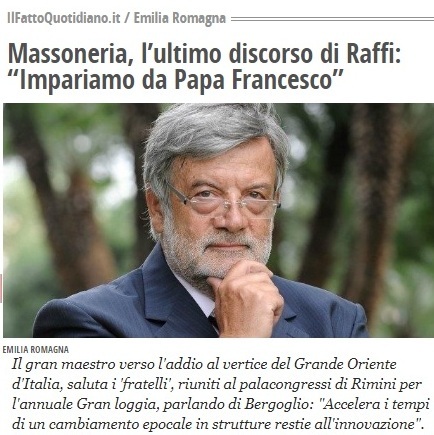 since, Fathers de The island of Patmos, between the lines of their articles [see WHO, WHO] They expressed that the Pope Francis I is not criticized, as in many of his predecessors Augusti, the magisterium, or those that until 1870 were political choices, but marginal attitudes; It is criticized its tendency to ambiguity, or silenced at times - and this is respectfully acknowledged - of some truths of faith, almost as if on pernicious influence of Cardinal Walter Kasper was afraid to irritate the Lutheran heretics. what she writes is an unprecedented severity, I'll explain why: the so-called case from her illustrated could fall – after thorough verification of the case -, in those that the Code of Canon Law indicates how serious offenses, that is of such serious crimes / sins for which only the Holy See can grant absolution and remission of the excommunication, in which it incurs in an automatic way to the commission of the act itself. "Forbidden concelebration of the Eucharistic Sacrifice with ministers of ecclesial communities which do not have apostolic succession, not recognize the sacramental dignity of priestly ordination " [cf. Code of Canon Law, can. 908 and 1365; Congregation for the Doctrine of the Faith, Letter to the Bishops of the Catholic Church and other interested ordinaries and hierarchs: on the most serious crimes reserved to the Congregation for the Doctrine of the Faith: AAS 93 (2001) p. 786]. In this regard, I invite you to read the Instruction Sacramentum, Chapter VIII n. 172 and following [text, WHO]. As the text of this instruction, it is their right but mostly having to immediately report to ecclesiastical authority, ie Archbishop Metropolitan of Turin, This very serious situation, pointing out all the facts and circumstances in which they occurred [cf. Instruction Sacramentum, NN. 183-184]. If the Diocesan Ordinary does not immediately take measures it is obliged to take, spent a reasonable amount of time, send everything to the Congregation for the Doctrine of the Faith, the Congregation for Divine Worship and the Discipline of the Sacraments, the Congregation for Bishops, pointing out that fulfilling what the Church recommends the, He has dutifully informed the Diocesan Ordinary but have not taken the necessary measures and mandatory canonical. Dear Fathers, other practical question in the wake of Charles' question. Suppose there is not a glaring case like the one mentioned, but that he had heard a couple of sermons in two passes “strange”, on the question of Sacramento. It may also have been an unfortunate choice of words, or the excess of suspicion on my part. There is absolutely no basis for a complaint. Even knowing that the Consecration is still valid, I opted to avoid that church, or at least the mass celebrated by the priest: being able (yet) choose, I go where he preaches healthily. But inside me I said to myself: maybe you should go talk to him. Maybe clarifies the misunderstanding; otherwise you do this the error. A few days later, on the phone with a friend, incidentally mentioned the episode, I felt giving her the same advice; He also told me of a similar case, in which the correction has been accepted. I said to myself: It will not be a call from above not to do as a small Jonah? But in practice, how can you approach it correctly, effective, respectful? It is also a priest who does not know, and he does not know me. Thanks. Attaché: Office for the Pastoral Care of Migrants and Rector of the Church of St. Rocco. I had just started reading your article about harmful food products (and maturing) wild dell'immigrazionismo I came across a statement that left me, how do you say, thrilled. This is the point where you claim that Sufism Christianity would debtor. Thrilled because I do not think historically true, as Sufism would be born simultaneously with the journey of the Prophet in the heavens on the night of revelation Mj'rai whose mystical experience of the Sufis seek to reproduce in order to reach the moon (San Paolo I believe he came to the third heaven). Ibn Arabi there “maximum” exponent of Sufism one who still called Jesus “absolute holiness seal” (Christ and Mary have a very important role in Islam and Mary was defined born without a shadow of sin, preceding the statement of Marian dogma also is the return of Christ, which Madhi, which is expected at the end of time) He received a real need initiation to this mystical way by two women. I do not think there are parallel examples in Christianity and especially, and this is the fundamental argument in the Christian religion there is no initiation. (although the term especially Neocatechumenal influence was cleared). Similarly, the dihkr prayer technique is firmly anchored in the Islamic profession of faith. It is technically inconceivable outside of this formula because the letters that make up the phrase are displayed and moved in the body in the inspiration and respiration phases with a well known concentration mode in these environments which have, however, disclosed even if the true initiation and his is the prerogative of the teacher who directs the tariqa. In addition to (even if I stopped reading) there is no mention of sci'ismo and mundus imaginalis great “discovery” Henry Corbin and now acquired findings in the study of Islam's spiritual heritage. Besides the clash with Islam legalistic and the esoteric was born just after the death of Muhammad with the investiture of his father of Imam Ali in the first and then the Christian influence do not know where it can be traced in these movements less than since the Ebionites as Corbin supposed to but does not show. Certainly in the West are neither Sufi, nor Shiites. the journey of Muhammad was not a true mystical experience, that union with God b, because he has stopped only a short distance (“bowshot”) the gods. The only true mystical Sufism begins with the Al-Hallaj in sec. IX, which indeed so exaggerated union with God to fall into pantheism. The real Sufism, officially approved only in sec. XIII, It is influenced by Christianity not directly, but through the Old Testament, for which union with God is likened to a marriage (Song of Songs, Israel Yahweh's bride). Anyway, it is true that the Islamic mysticism has never accepted Christianity which is based on the New Testament, namely that, based on divine sonship, protede you to the heavenly visiine of God the Father (The Gv 3,2). The term “initiation” – What does that mean “what-it-far-beginning”, It is not exactly the Neocatechumenal, but is an expression already present in early Christianity – l'anagogic is the mystagogy -, and referring to catechesis, now back current and official of the Catholic liturgy: the sacraments of Christian initiation, including baptism and confirmation. I have not talked about the distinction between Shiites and Sunnis, because I wanted to limit myself to their common base, that the Qur'an. The difference between the two components of Islam and is linked to two actuations of the Koran, ie two different levels of discipline or observance ascetic: the more austere and rigorous is the Shia, while the milder and milder is the Sunni.